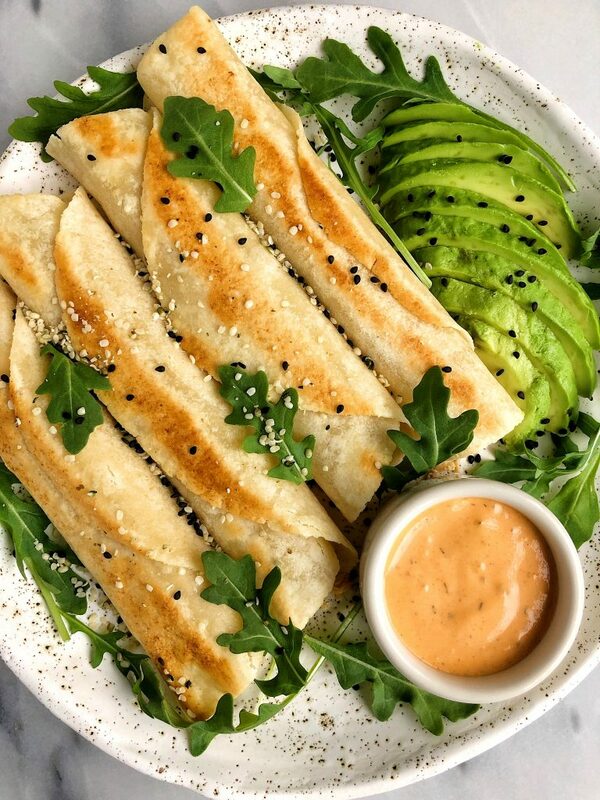 10-minute Spicy Salmon Taquitos made with all gluten-free and grain-free ingredients for a quick, easy and healthy lunch or dinner idea! I don’t know about you, but ll about the 10-minute meals over here. Quick, easy and something delicious and I’m a happy camper. 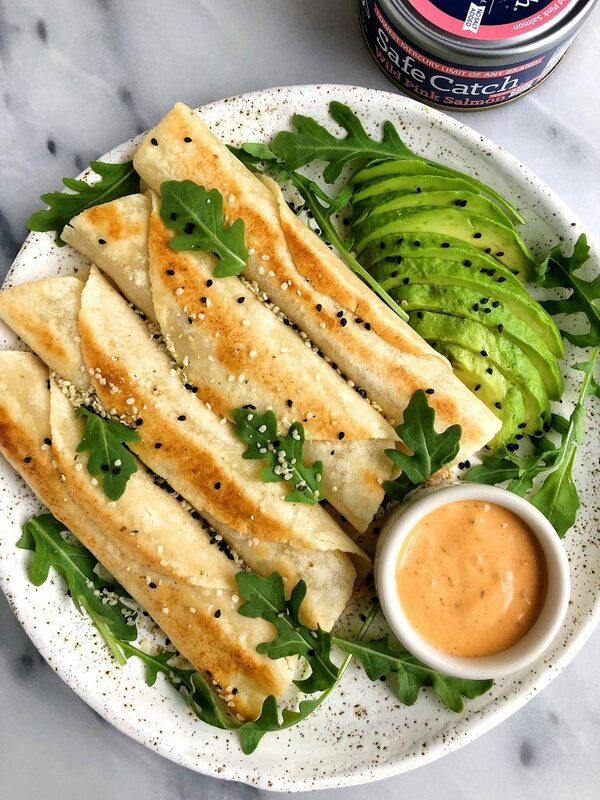 These 10-minute Spicy Salmon Taquitos have been on repeat the past couple weeks as we are prepping for the bub’s arrival. Finishing up work, getting the nursery together and trying to be as low key as possible over here. 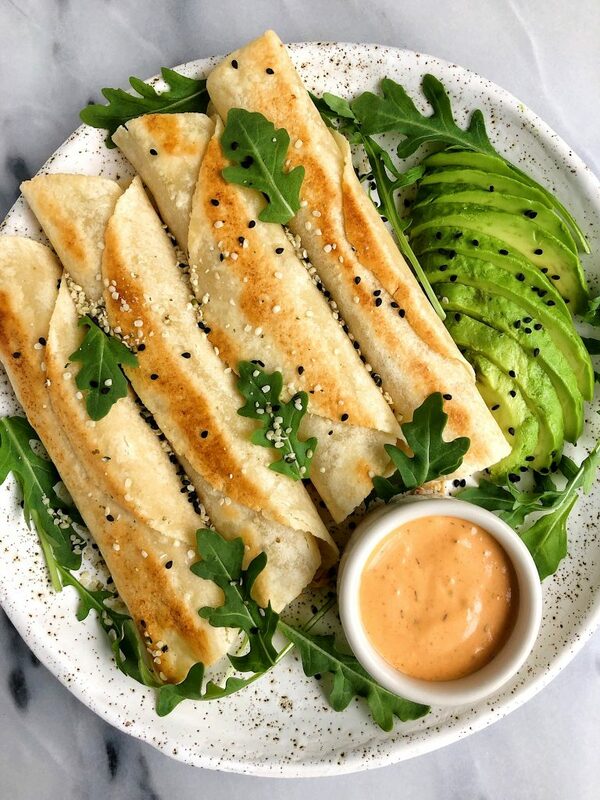 I first shared a healthy taquitos recipe a few months ago and you guys loved it! I love how crispy they can get without technically being fried and they only take a few minutes to prepare (winning). These ones are filled with wild salmon from Safe Catch, avocado, greens and a little spicy mixture with the salmon. If spicy isn’t your thing, just omit the hot sauce or only add a little bit. They will still turn out delicious. I also use a grain-free tortilla made with almond flour (linked in recipe below!) and it gets soo crispy and crunchy, I love it. You can use any tortilla you have though but the smaller corn ones won’t work as well and don’t fit as much in them to roll up! *These taste best day of but you can save in fridge for a couple of days. Thank you Safe Catch for sponsoring this post!